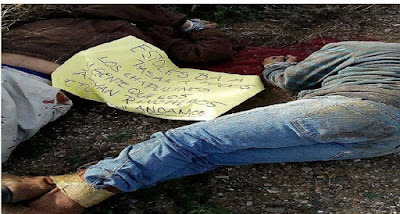 Friday morning three young men were executed on the La Ribereña highway. All three men were killed by a “coup de grace” to the heads, execution style. 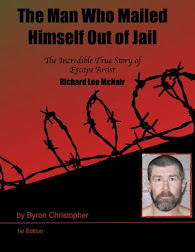 The men were workers at the ranch "El Japo" where they were heading when the abduction and murder occurred. There was a message left with the bodies warning, that the same fate awaits any traitors who support ranchers, signed with “Here We Are”. The bodies of the executed Manuel Martínez Guevara, Sergio Silva Martínez and Roberto de la Cruz Cantú were handed over to their families. 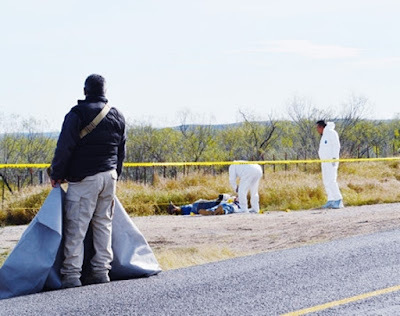 The men were traveling to the ranch which is owned by Eulalio Gutiérrez, brother of Alejandro Gutiérrez, former senator and former deputy secretary general of the PRI, that faces trial for embezzlement in Chihuahua. 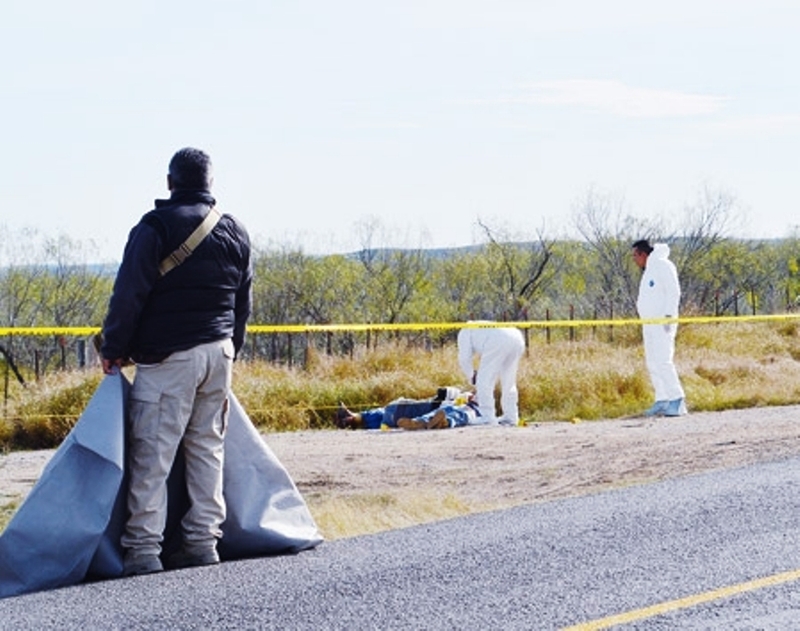 The delegate in the Northern Region of the Attorney General's Office, Rigoberto Ríos, reported that the three men located on federal highway 2, Piedras Negras-Nuevo Laredo were tied hand and foot, with the coup de grace and were located at one side of the Ribereña road, at kilometer 116, on the stretch from Guerrero to Hidalgo. Everything indicated that they were intercepted when they were on the Ribereña highway, and they were executed in the place where their bodies were found, in front of Buenavista Ranch, near the vehicle they were riding in. 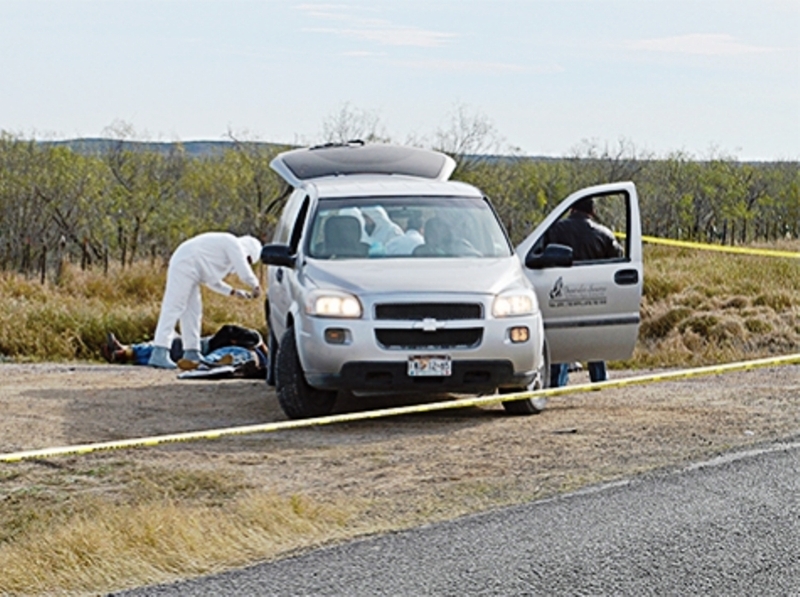 This location is about 40 minutes from Piedras Negras and on a stretch of land that hundreds of people has disappeared and murdered in 2015 and before when the area was hot with violence. It stretches to Nuevo Laredo. However in the last couple of years, it has been relatively calm. I have written about my expectation that it will not remain peaceful and a challenge for Coahuila is expected by CJNG. Coahuila has been long held as a Zetas home base but due to declining power it will become a battle grown for control. Although it is not an important state for trafficking, in comparison, it is logistically important. Two of the men had been previously arrested for migrant trafficking. not true. Zetas still run everything including piso don't lie. it is their last stronghold. they will fight to the death over this state. 11:15 . I hope they do "fight to their death" and the marines sweep up behind them . Let's see if zetas and CDG can chase out CJNG and teach them a lesson to stay out and go back to jalisco if not TAMAULIPAS will fall next USA doesn't want those guys on the border if they take them on great if not they better go find another line of work . 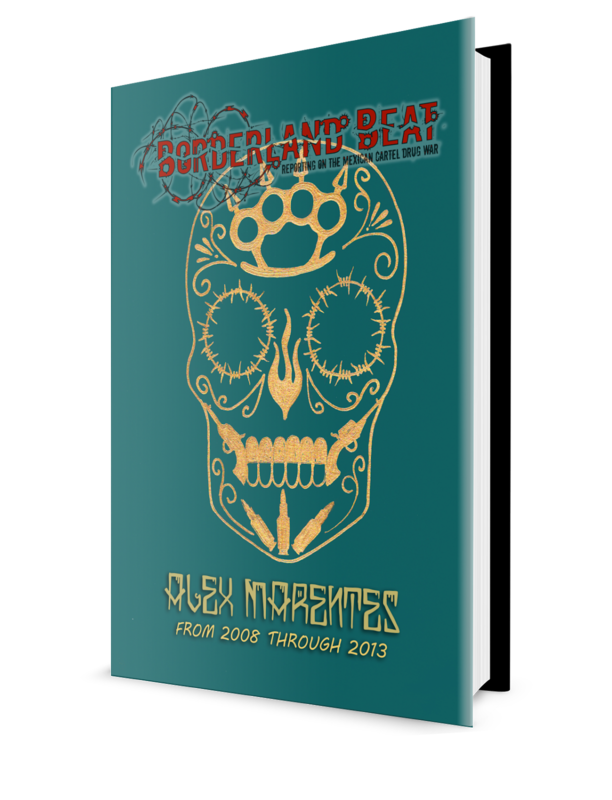 No outsiders have ever made much progress in Tamaulipas. Only when the CDG invited CDS in for support against the Z has another cartel had a detectable presence in Tamaulipas. The factions fighting in Tamaulipas are battle hardened so it will take very long time for any outside cartel to display these factions. Tamaulipas is out of control, no cartel is on top. That's the reason they are always after ALL those plaza bosses and killing ALL the sicarios on sight with no questions asked. Cjng will take it this year, just watch... It's common sense if you use your marbles..
Every cartel pays to "new governor 'Longtooth', Franquicio Javier Garcia Cabeza de Kagadas de Vacas for the EXCLUSIVE OWNERSHIP until they get their just desserts, a one way ticket to heaven, or to hell, whatever.